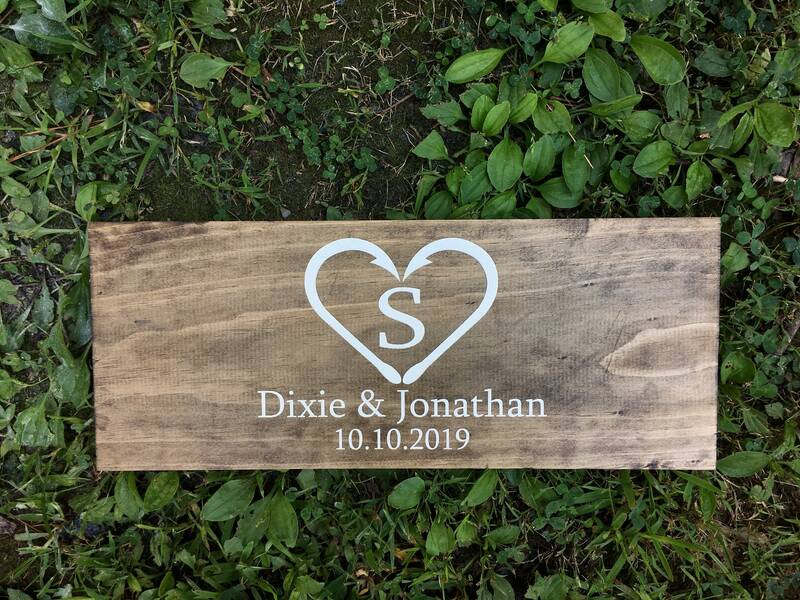 * WHAT YOU GET * One dark stained pine board with laser engraved and paint filled white. * MEASUREMENTS * Approximately 7" tall by 18"wide. * SIGNATURES* This board can hold up to 25-35 signatures comfortably. *WHAT YOU DO* At check out please put both last initial, names, and date in comment box. Need a larger guest board? Go check out my 16"x24" size! They can hold 100-125 signatures.